U.S. Sen. John Barrasso raised $2.7 million for his reelection campaign in the last three quarters, only 5.5 percent of which appears to come from Wyoming-based donors. Wyoming individuals and political action committees donated $152,270 to Barrasso in the last quarter of 2017 and the first half of 2018, according to WyoFile calculations from FEC filings. Filings are current through June 30. The 5.5 percent of Wyoming-based contributions marks an uptick in the portion of contributions from his home state compared to the beginning of the 2017-2018 election cycle. During the first three quarters of 2017, Barrasso appears to have raised only 2.2 percent of $2.9 million. Barrasso’s fundraising from October 2017 through June 2018 outpaces his nearest opponent, Dave Dodson, by more than $1.6 million. Barrasso raised $2,755,796 million during that period, according to filings with the Federal Election Commission. Dodson, a Teton County resident, raised $1,116,134 since launching his campaign in 2018. Four other challengers in the Republican primary — John Holtz, Anthony L. Van Risseghem, Charlie Hardy and Roque ”Rocky” De La Fuente — do not appear in FEC reports for this election cycle, indicating they did not report any direct contributions before June 30. 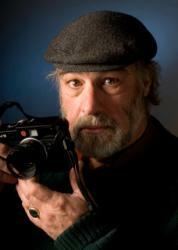 Democrat Gary Trauner of Wilson is the sole candidate for the nomination of his party. He will meet the winner of the Republican primary in the general election race. He raised $578,405 between December, 2017 and June 30, 2018. Barrasso had 382 contributions in the last three quarters from donors who listed Wyoming as their home, according to calculations from the FEC filings. Dodson’s six contributors ponied up $282,621 this year, including one $250 contribution from Wyoming. The candidate donated $56,183 of his own money and loaned his campaign $800,000, FEC filings show. Dodson said first he would run as an independent, then decided to file as a Republican and challenge Barrasso in the GOP primary. Last year Barrasso’s chief of staff Dan Kunsman said the senator had not begun focusing fundraising in Wyoming. “We expect to add significantly in 2018 to the more than 1,000 individual Wyoming donors since the last election,” he wrote WyoFile at the time. 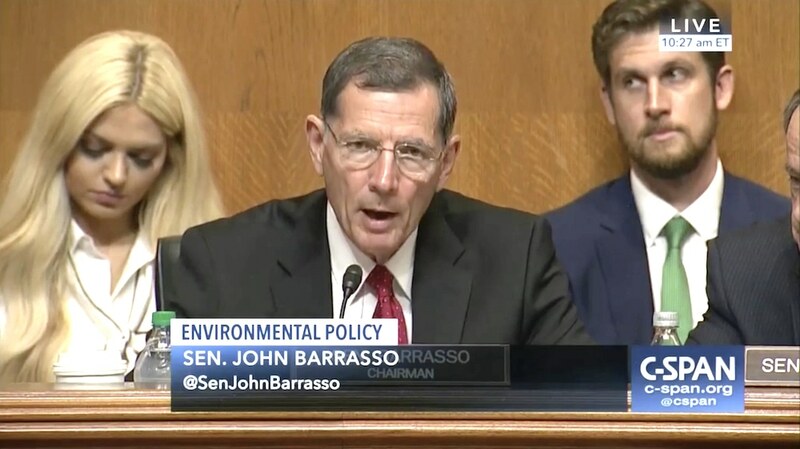 WyoFile did not receive a response to recent requests to Barrasso’s campaign for comment. But Dodson said he believes the race is competitive. “We’ve done our own polling that confirm[s] this is a real race,” he wrote in an email. He said that internal polling followed an online Casper Star Tribune poll that put him ahead of the incumbent. Dodson sees other indicators of a close race, including a Barrasso fundraising letter, a Twitter endorsement of Barrasso by President Trump, and radio ads attacking Dodson, the challenger said. “He’s realized voters are tired of seeing him having his picture taken with Mitch McConnell,” Dodson said. In the undated fundraising letter headlined “John Barrasso, US Senate,” the incumbent writes “I’m in the thick of a tough race. In a Republican-red state like Wyoming, where Donald Trump crushed Hillary Clinton by a 3:1 margin, you may find that statement surprising … but it’s true.” WyoFile was unable to confirm that the Senator’s campaign “Friends of John Barrasso” sent the letter (see document below). A Barrasso donor discounted the letter’s language nevertheless. “Even if he’s ahead by 50 points, that’s not an unusual thing to do,” said Rob Wallace, a Beltway veteran who was, among other things, chief of staff to U.S. Sen. Malcolm Wallop. Candidates do not want their supporters to become complacent or take a race for granted, Wallace said. Radio attack ads that name him personally are another indication Dodson is in the running, he said. An incumbent wouldn’t mention an opponent’s name unless a contest was close, Dodson said. “As a result of what we’ve seen in our internal polling and the actions of John Barrasso we’re stepping on the gas because we know this is a winnable race,” Dodson said. Barrasso has campaigned as a conservative and on the benefits of GOP tax cuts, according to a profile he completed for the Casper Star Tribune. He touted the GOP administration’s reduction of “excessive Obama-era rules and regulations that targeted Wyoming jobs,” and the repeal of parts of the Affordable Care Act. “I helped lead efforts to repeal the individual mandate tax so that you aren’t forced to buy insurance you don’t want or can’t afford,” he wrote. When he was appointed by Gov. Dave Freudenthal to fill the unexpired term of the late U.S. Sen. Craig Thomas, Barrasso shepherded two conservation bills launched by Thomas. The Wyoming Range Legacy Act put large amounts of the Wyoming Range off limits to oil and gas leasing. The Snake River Headwaters Legacy Act protected 387 miles of the Snake River and its tributaries in Wyoming from dam building and degradation. Protecting the environment is not part of the conservative main course, however. After completing Thomas’s unfinished business, Barrasso turned right and has since earned the chairmanship of the GOP policy committee. 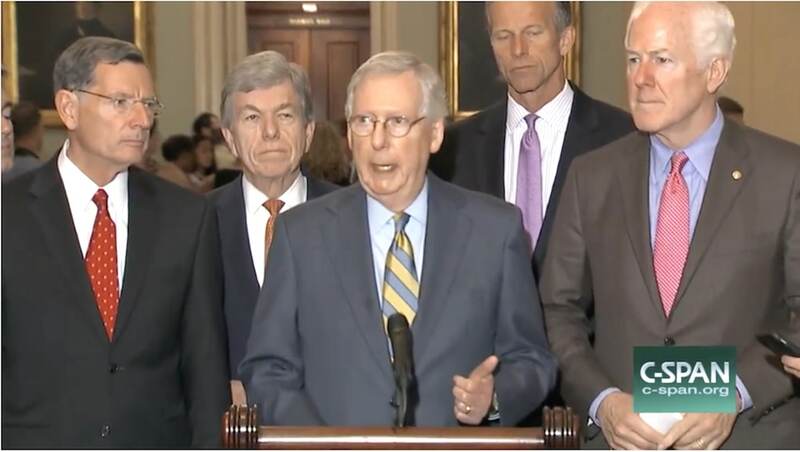 His proximity to the center of influence is apparent in his frequent photograph and video appearances standing next to Senate Majority Leader Mitch McConnell as McConnell makes comments to the media. But to Dodson, the incumbent is “among the least productive senators in America.” Barrasso has passed one bill he sponsored — to establish a federal courthouse in Jackson — Dodson said. Teton County has since purchased the building from the federal government. Barrasso has legislation pending. One bill would revamp the Endangered Species Act. Another would allow Wyoming to drain more water out of Fontenelle Reservoir. He’s a co-sponsor of other legislation, too. Meantime the Center for Responsive Politics lists Barrasso as the 14th wealthiest U.S. senator with an estimated net worth of $7.9 million. Barrasso has spent $1.7 million on his campaign since the beginning of 2017, FEC data says. Friends of John Barrasso raised $4.9 million during that same period. Dodson has spent $939,857 in operating expenses, FEC filings show. A Stanford graduate and lecturer in management at the institution’s school of business, Dodson calls himself a “serial entrepreneur,” who has raised money for, bought and managed companies in diverse fields including alarm systems, auto parts and environmental services. He is a founding partner at Futaleufu Partners that runs Project Healthy Children in Honduras. 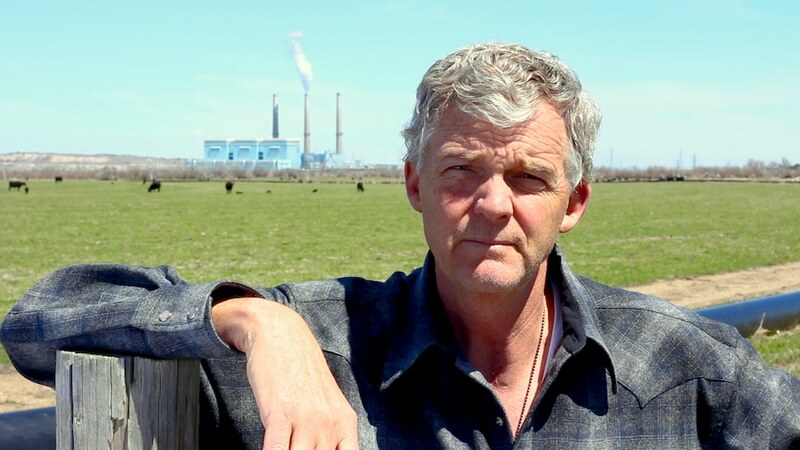 The son of a school teacher and sugar beet businessman, his youth was “an insulated life in a farming community” near Laporte Colorado, about 35 miles southwest of Cheyenne, Dodson said. It is clear that Barrasso is bought and paid for by big energy, big pharma, and to a small degree by the NRA. His loyalty is to his donors and not the people of Wyoming. This doesn’t make him much different from many other career politicians from other states. What makes him different is that this is WYOMING and we expect our elected representatives to represent us and not special interests. Barrasso is doing his best to insure that Wyoming has the worst healthcare in America. Children’s healthcare in Wyoming is already some of the worst in the nation. Time for new blood in Washington – someone who helps us and not special interests. It doesn’t matter whom is “elected” and goes to D.C. Politics is wholly corrupted, even the “swamp-draining” Trump is surrounded by the ultra-corrupt. The system will quickly change the individual, or swiftly force them out. Governments, from national to state to local to municipalities, control way too much money, and way too much power. As such, every shyster is crawling out of the woodworks, looking to control that vast sum of money and power. Groups are fighting each other for a “piece of the action”, much like Mobs do. Democrat or Republican or Progressive or whatever, the ultra-wealthy continue to gain ever more wealth, the ultra-powerful continue to gain ever more power. Meanwhile, the rest of us, the average citizens, continue to lose pace to highly-underreported inflation, as we continue to lose ever more freedoms, liberties, rights, and justice. No matter the particular “brand” of politics, or party, or economics, the same corrupt people end up fighting to control it. Weak minds need strong leaders. The “Myth of the Good King” is alive and well……even after all these centuries. Barrasso has 382 Wyoming donors, Dodson has 6. Why is the headline about Barrasso’s out of state donations? The headline should be Barrasso has 63 times more Wyoming donors than Dodson. The author of the article should list himself as a contributor to the Dodson campaign. If the best Barrasso can do is rake it in from only 382 bona fide Wyoming donors, that is still an embarrassingly small number in in the least populated state in the Union… one donor per 1600 residents; one per 1300 voting age resident; one donor per 800 Wyoming registered voter . Or another darn statistic…there are 265,000 people currently registered to vote in Wyoming on August 1st this year, and 177,000 of them are Republican on paper , which says Barrasso can only count on one out of every 465 to donate to his campaign. Even after all his free bedside medical PSA’s on KTWO – TV and 25 years in Wyoming politics, the telegenic Barrasso should be rolling donors. Instead he chooses to go with PACs and out of state entities for the largesse. Only one in 465 registered Republicans in Wyoming made a personal donation to Senator Barrasso’s campaign this cycle . Does that restore the true sense of scale and political perspective for you , Bruce ? No doubt there seems to be a bias here. Truth is, people are tired of the same ol’, same ol’ in politics, and desperate for change, any change. But change alone isn’t the solution. Washington is completely messed up, our “Representatives” often completely out of touch with Constituents. The country is quite angry, bitter, and getting angrier, often misplacing the blame for that anger. People are looking for “warriors” to fix that messed up system, unaware of how disastrous our system has become. Those “warriors” however, become mere corporate puppets. Both, in their own ways, outline the truth of how special interests have hijacked politics and government. From Politicians to Bureaucrats, big money is buying legislation (and Executive Orders), most often in complete disregard of the rest of “the People”, the average citizens of the U.S.
Are you a numbers man, Sen. Burns? Have you ever thoroughly examined the BLS stats, in detail? Ignoring the highly manipulated propaganda? Look at the numbers. 95.598 MILLION Americans are still out of work, yet we’re being told the economy is “booming”. Yeah, booming for a few, while the rest struggle. Consider that truly staggering number – 95.598 MILLION. • There are approx 326 million people in the U.S.
• Less 15-under and 65-older leaves us with approx 212 million people of working age. • Of those 212 million (not taking into account full-time parents, disabled, etc), 95.598 MILLION ARE STILL UNEMPLOYED. Yet we’re told things are “great”, “best economy ever”. Billionaire presidents, surrounded by millionaire Congress people, getting richer quickly, telling the rest of us how great things are. And people wonder why this nation is so angry? Herr Trump is bragging about how his tax cuts have made billionaires, like the Kochs, even richer. Herr Trump brags about the “largest tax cut ever”, but then passes one of the largest tax increases in history (his tariffs, which are just veiled taxes). John Barrasso has more than an estimated net worth of $7,947,007 (2016). That makes him the 14th wealthiest person in the U.S. Senate. His wealth climbed tremendously since 2014 (from $5 million to almost $8 million), in just two years. Wonder how much richer he is now? He has over $3 million invested in Vanguard, one of the “Big Three” money management firms, which is one of the largest institutional shareholders of the largest “competing” corporations in most every single industry. Vanguard, along with BlackRock and State Street own corporate America. In the S&P 500 – the benchmark index of America’s largest corporations – the situation is even more extreme. Together, these Big Three are the largest single shareholder in almost 90% of S&P 500 firms, including Apple, Microsoft, ExxonMobil, General Electric and Coca-Cola. These firms are profiting more than anyone else from special interest legislation and Executive Orders. They are among the largest shareholders of the largest “competing” hospitals, the largest “competing” insurance companies, the largest “competing” pharmaceutical companies (profiting off Obamacare), the largest private prison companies (such as Geo Group and CoreCivic, profiting off the immigration mess). The largest “competing” tech firms (whom are selling every details of our private lives and activities to the government, and their big-business allies). The list goes on and on. Our government and political systems have become wholly corrupt. This is why people are so desperate for change. By his own admission, then, Barrasso’s big contributions have been to reduce access to medical insurance for Wyoming families, to support a totally unnecessary tax cut for the wealthy that resulted in a huge increase in the national debt, and to sacrifice protections of Wyoming’s water, air, land, and wildlife to increase corporate profits. That gives us all the reasons we need to vote against him. He cares about and serves wealthy people, not the people of Wyoming. He’s obsessed with gettin’ back to Washington for fear McConnell will find another manikin to have his picture taken with. Barrasso has forgotten he’s supposed to be working for the folks back home! Since he likes D.C. so much let’s send him there full time – RETIRED!